The annual Security Council Conference is always a very anticipated event on the UNIS MUN March school calendar, and this year was no exception. 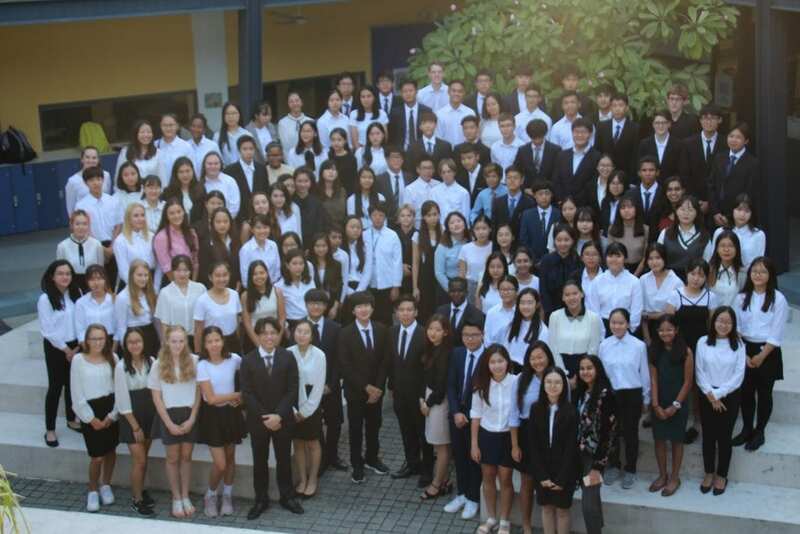 Over 110 well prepared delegates from grades 8 -12 turned up smartly dressed in their formal best to hotly debate this year’s highly relevant issue, ‘Climate Change as a Threat to Our Society’. We were very fortunate to have our High School Vice Principal, Glenda Baker, to open up the conference. She gave a very real example of how in Hanoi, we are the recipients of a polluted environment that daily impacts our health and longevity, and that we have an individual and collective responsibility to ensure that take positive action to reverse this devastating trend. With this potent message in mind, all of the delegates passionately debated each of their arguments with the positive intention of ensuring that the future of our planet would be in safe hands. Each clause was debated individually to create a resolution by consensus within each group. It was a very smoothly run event thanks to the hard work of the Admin team, our photographer Jacob, the wise and patient Chairs and the behind-the-scenes organisation of Ms. Giang in the Activities office. Our gratitude also to the Executive Committee who worked extremely hard to ensure that the evening would be a success. Many thanks for helping make this evening one to remember. The conference was a culmination of hours of hard work and training, with delegates meeting every Thursday for 2 hours in order to familiarise themselves with the MUN format, and learn how to come up with practical and workable resolutions to debate in front of other delegates. 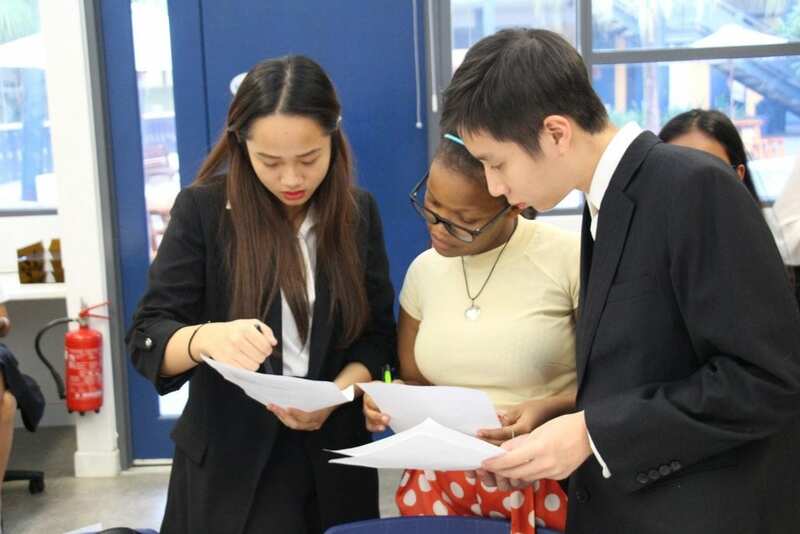 Some delegates were new to the MUN debate, and worked especially hard to seek advice, and assistance in writing the many policy statements, resolutions and opening speeches required to participate. Over the past two months, they had the opportunity to debate with more experienced delegates all in preparation for the October Simulation. Delegates investigated the approaching “point of no return”, and were reminded, throughout the conference, of the serious necessity to make changes not only because of our responsibility in being a UN school, but also because of our position as young students who will experience the consequences of our inaction. Their research emphasised the need for our delegates to discuss these issues in order to be the future change makers of tomorrow. For 3 hours, the conference rooms were filled with intense and passionate debate. Delegates fervently fought for their resolutions to be adopted by the rest of the council, discussed several solutions to an abrupt crisis, and furthered their understanding of international relations, diplomacy, and the formal workings of the UN. All the while, the Admin staff- lead by Giang Thu Pham, worked around the clock, passing notes, printing documents, and attending to the needs of each council. The atmosphere remained diplomatic and professional, true to the spirit of the UN, and the dedication of our delegates. After a long night, the conference concluded with the delegates receiving their well deserved certificates.A few special recognition superlative certificates were also given out for standout delegates. It doesn’t end here however. 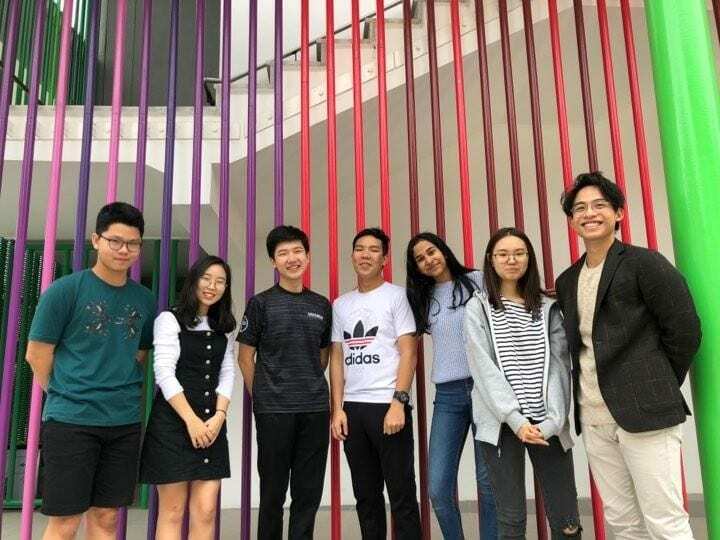 The MUN Leadership team, and participating delegates are now set to prepare for another conference, UNIS MUN XI, with over 350 delegates attending from schools in the local Hanoi community and the East-Asian Area. The skills delegates have acquired during this conference will now be put towards preparation for this conference in March. This entry was posted in allschool, MUN by tintuc. Bookmark the permalink.